What’s going on with HTC? For a while, HTC was the hot brand in the world of Android. Sales peaked in the third quarter of 2011 and they have fallen steadily since then. According to the Financial Times, they are projected to drop further, with expectations that HTC will earn just over half that 2011 high in the third quarter (this quarter) of 2012. In the last few months, we’ve seen the value of HTC drop dramatically and some questionable investments have cost them big. Why is HTC having such a tough time? HTC was founded in 1997, and for a decade it slowly built a reputation as a great phone maker, concentrating mostly on Windows Mobile devices. It wasn’t until 2008 that the Taiwanese company sparked its ascent to become one of the top smartphone manufacturers in the world with the first Android smartphone, the HTC Dream (better known to many as the T-Mobile G1). A string of hits followed: the HTC Hero, the HTC Desire, and the first 4G-capable phone, the HTC Evo 4G. In 2011, HTC surpassed Nokia in value (not sales) to become the third largest smartphone manufacturer in the world, behind Apple and Samsung. At that time, the brand was well-known and the company had grown cash rich. HTC had built a reputation for great build quality and software skills, with major plaudits all around for the HTC Sense overlay, which enhanced Android’s usability. Its biggest problem seemed to be what to do with all the cash it was making. 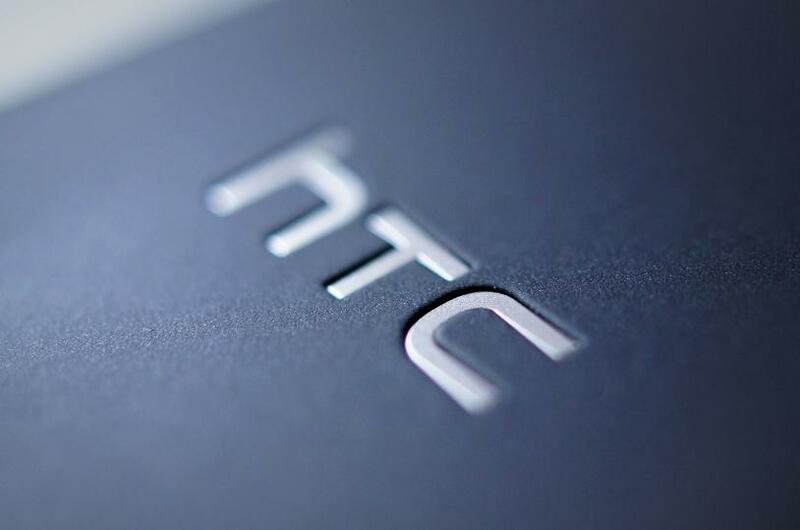 That third quarter of 2011 high for HTC soon gave way to falling revenue and a drop in the smartphone charts which has continued for a year now. It has released a number of high-end handsets since, but seems unable to turn its fortunes around. What happened? The investments that HTC made before its decline all looked pretty exciting at the time. The Beats Audio partnership cost it $300 million, and bought HTC a 51 percent share in the company. Assimilating Beats into the new handset line-up turned out to be tougher than expected, however. The reviews of devices like the HTC Rezound were disappointing. HTC reduced its majority shareholding in Beats to 25 percent earlier this year and made a slight loss on the deal. Another investment that didn’t seem to pay off for HTC was the $300 million it spent acquiring S3 Graphics. The idea was to shore up its patent portfolio to help in the courtroom against Apple, but the International Trade Commission ruled in Apple’s favor. So what did HTC get out of the deal? Not much, by the looks of it. Just this week, HTC announced a $40 million loss to the Taiwan Stock Exchange following the OnLive restructuring deal. Still, none of this has stopped HTC from investing elsewhere. This week Reuters reported a $35.4 million investment in Magnet Systems, a Silicon Valley startup focused on cloud-based business services. This could be linked in to HTC’s cloud plans. If we cast an eye back and look at HTC’s high point — when it claimed the third spot in the 2011 smartphone manufacturer charts — we can also see it was a distant third to Apple and Samsung. Many analysts have suggested that HTC’s real failing has been an inability to compete with Samsung’s marketing spend. The brand HTC built is a premium one and as support for the iPhone and Samsung Galaxy phones spread to more and more carriers, HTC hasn’t been able to attract enough attention. It’s latest attempt was its flagship HTC One X, but the device failed to catch on. The battle between the Galaxy S3 and the HTC One X is by no means clear cut, but Samsung has definitely won the sales battle. With the iPhone 5 on the horizon, HTC is now looking at price cuts as a way to try and compete. The company must be perplexed about the poor performance because the HTC line-up is still very good. Perhaps it simply can’t compete. Apple and Samsung are huge brands in multiple tech markets and they spend a lot more money on marketing than HTC can afford to match. It does seem as though HTC is now struggling because of the very things that made it successful. Consumers don’t seem to be prioritizing build quality, as evidenced by the success of the Samsung Galaxy S3 over the HTC One X.
HTC’s success at the lower end of the market with devices like the Wildfire has been swept away in a tidal wave of Samsung releases and budget priced phones from companies like Huawei. Diversions, like the female-oriented HTC Rhyme, look a bit embarrassing now, and were probably costly in terms of brand image. HTC’s Sense overlay hasn’t aged well either. While it used to offer a genuine boost to stock Android, the platform has improved a lot in the last few iterations and Sense seems to be offering less. The issue of delayed upgrades and fragmentation, and some questionable tweaks to new versions, has also dented the adulation that HTC Sense used to enjoy. We can’t ignore the fact that HTC’s innovation has faltered; its designs have missed the mark on more than one occasion; and its marketing efforts have not captured the public imagination. The company simply doesn’t seem to have its finger on the pulse of the smartphone market anymore. HTC may be down but it certainly isn’t out. It will continue to release premium Android phones and we can expect some Windows Phone 8 releases to hit the stores in October. If rumors about deep price cuts are true, HTC could pick up a lot of new customers. A heavily discounted HTC smartphone would be a seriously tempting prospect. If it can raise its profile a bit and remind people that HTC smartphones are really good, then perhaps it can carve out more than a “quietly brilliant” niche in the smartphone market and grow into a stylish alternative to the current behemoths, Apple and Samsung. The road back is not an easy one. How do you rate HTC’s chances?